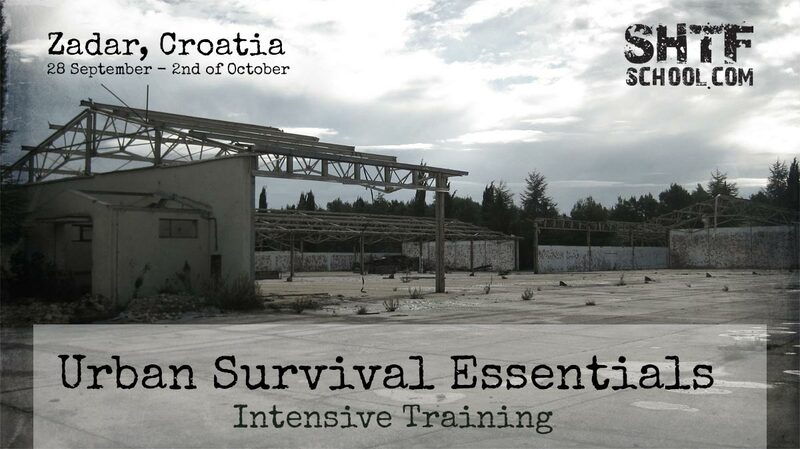 Experience a range of new skills, challenges and survival scenarios under the guidance of Selco and Toby at our exceptional training area in Zadar, Croatia. In this scenario based course you can learn the key principles and skills to Urban Survival. We will take a small group of people from diverse backgrounds through common scenarios that Selco has experienced in his time during the Balkans war. How much money do you spend on tools and equipment versus learning real practical survival skills? A survival course is not only training, its a great experience that upgrades you for a lifetime. We welcome everyone, regardless of your previous survival experience and / or knowledge. A diverse group presents interesting and appropriate challenges in a way not normally addressed in training. Group dynamics and successful team management is an essential skill in regular life and even more so in post disaster survival situations. This truly unique course has been designed to give you the greatest competence in the shortest period of time and as such is an opportunity not to be missed! During the course your existing skills will be assessed and expert improvement tips provided by our instructional team. New skills will be delivered, initially in stand alone training sessions, but once learnt they will be applied during scenarios run throughout the course to ensure the best assimilation and appropriate use of all skills acquired. There is a necessity for elements of physical and psychological pressure and duress to be introduced to drills and scenarios during training, in order for students to be able to identify areas of personal strengths and weaknesses. Students will receive regular and detailed feedback from instructors in addition students will be assessed and ‘scored’ during all activities and assessment scores will be reviewed at the end of each training day for students to identify where in the overall course they ‘rank’. It should be highlighted the key aim of this course is to provide credible, contextual and applicable training for post disaster survival, not indulge in post-apocalyptic fantasies. It has taken three years of searching to find the perfect venue for this course. You can see some photos above. The venue is a disused and derelict military base ideally suited to post disaster training. The conditions, hazards, infrastructure and layout are all reminiscent of a society when normality stops… More details on how to get to Zadar further down on the page. Toby is a survival instructor who runs Survival, Outdoor and Personal Safety courses worldwide. Originally from the UK, now based in Scandinavia, deep inside the Arctic Circle, Toby draws on his 25 years of training and experience in survival and outdoor skills, risk management, self defence and military training to provide the best organization and structure to the training planned. The scale of challenges to overcome throughout the course will ensure you take your individual fire lighting ability to the ‘next level’. One of the main differences between Urban and Wilderness survival is that of shelter selection and use. Our incredible training area will give you unique insight and opportunity to practice how to successfully secure shelter in a post disaster environment and discover some of the key strategies you will need when you have to apply these skills ‘for real’. We will dive into detail on all aspects of water management throughout the course, giving you a depth of knowledge and ability to adequately provide for you, and your teams, hydration and hygiene needs. Sourcing, processing and storing food in an urban environment brings with it a complex set of challenges. Modern convenience has rendered many completely unaware of food management strategies in the absence of supplies of electricity, water and gas. You will learn and practice a huge variety of options throughout the week ensuring you stay healthy and strong enough to ‘stay in the fight’. Staying informed during calamitous times is one of the biggest influences on your survival. Effective communication in a ‘grid down’ world is an area currently rife with myths and misunderstandings. You will need to take a ‘back to basics’ approach, starting with the most simple and yet powerful of communication methods and progress as the week goes on, to more complex and detailed communication. All the while you will need to maintain an ‘adaptive’ approach to ensure you react to the changing situation. The rapid development of disease and significant impact of hygiene concerns cannot be under estimated in a disaster situation. Learning how to manage these concerns without modern conveniences will be one of the biggest challenges you will face. The expert tuition and techniques you will learn and apply throughout the course will leave you armed with comprehensive strategies keeping you ‘fit to function’. The ability to source and manage resources is all for nothing if you cannot protect it. The ‘Live Environment’ nature of our training area will ensure you understand and apply the fundamental principles needed to safeguard you and your equipment. You will also gain greater insight and understanding into various mindsets that will emerge when the thin veneer of civilization is removed and learn ways to identify and deal with them. Full itinerary details will not be released as the ‘element of surprise’ is an ESSENTIAL part of this training, suffice to say students will need to be able to ‘Improvise, Adapt and Overcome’ their way through a variety of challenges during the course. 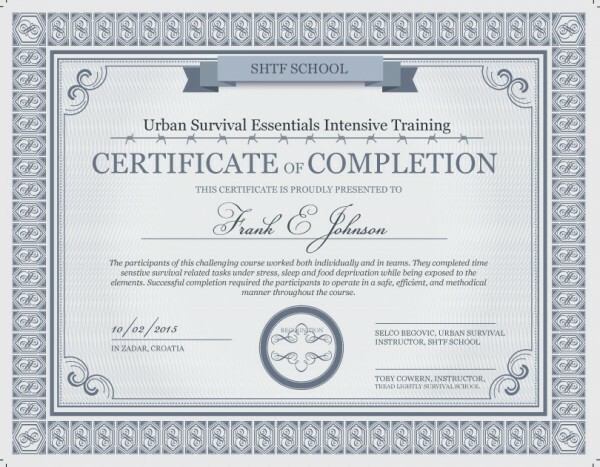 At the end of your course, you will be presented with a SHTF School ‘Successful Completion’ Course certificate. In addition to this, throughout the course instructors will capture some of the key instructional periods on video. Each participant will receive a unique code to be able to access these videos online after the course. A printed copy of your individual scoring matrix and overall course scores along with a Personal Post Course Development Plan written by your Instructors. Selco and Toby’s commitment is to make training as accessible as possible, therefore the entire 5 day course is priced at only 745€ / $849. The best option for most people is to fly to Zagreb or Split and take a bus to Zadar (takes 2 hours from either Split or Zagreb).